Everyone today seems to have found a way to pick up some spare money training they’re friends who know very little or nothing. In turn their friend figures they must be able to train me and save money or just not realize they are not a professional personal trainer. Well, that is not entirely true and probably not true at all. A young fit person who works out has probably not been trained in basic safety and will pass that lack of knowledge on to whoever they train and has genetics to gain muscle easy with no understanding that many people cannot do the same and require customized programs suitable to their body type and goals for fitness. It’s a dog eat dog economy and I understand the need to make money, but the personal training industry does not need people getting hurt or being led in the wrong direction for a fitness program. Giving out bad information is dangerous. Some injuries such as back, knee and torn rotator cuffs can be permanent and even when repaired through surgery will still be an injury at a young age and will haunt a person with age. People that have experienced a bad trainer or negative training experience will think less of the personal training industry. This devaluates the professional status of personal trainers and makes people gun shy from hiring another one or paying the value of a good personal trainer. In my opinion, all we can do as professionals in the industry is show potential clients a better way with professional training and actions as a professional in the fitness industry, professional personal trainers have a passion for what they do and are dependent on the business to support themselves. If they do not conduct business as a professional they will most likely fail. A professional personal trainer who operates as an independent contractor must have a gym to operate his or her business out of. So many people just picking up a few spare bucks in many cases sneak into large membership gyms as a friend and train their client in the facility hoping not to get caught. In any business a person cannot expect to operate their business out of someone else business. Independent trainers are insured and pay rent to the gym they work out of. That relationship between the trainer and the gym owner also needs to be one of trust and treat the gym as his own business. Some gyms require no certifications and others require that a personal training certification was obtained at some point or stays certified. There are many certifications and the average training certification will initially cost around $500.00 and be valid for two years. The certification companies require CEU’S every year to maintain their certification up to date. I was certified by IFPA and maintained several of there CEU’S for several years and do not maintain it any longer nor do I feel that I need to. I can honestly say that back in the early 90’s before certifications existed, the trainers were better than picking through a pile of certified trainers that decided to be a trainer and passed a course. Back then personal trainers were passionate along with several years of experience and knowledge of workout programs and the anatomy. All the trainers back then became certified only because they had to in order to maintain their business. I have trained people that were certified through high standard certifications that had little knowledge about programs and exercise methods in general. Most of the certification taught them some safety, the business end and how not to get sued. It is difficult for an uneducated consumer to decipher who is good. A meeting with the trainer and good gut instincts will tell you a lot. Starting with them being on time for a consultation. Consumers should look for real testimonials with before and after photos of past and present clients. The fitness business has become a huge industry from health clubs to supplements, clothing, shoes, group fitness classes and training certifications along with training tools. One has to be wise enough as a personal trainer to know the peddling of new useless exercises. Many of the new tools for training today are excellent, but I see many using tools with clients that should not be due to basic strength and function not being in there training foundation along with age and strong possibility of injury and lack of results. There are a lot of excellent new exercise tools that can vary a persons workout and increase athletic ability. Knowing when and how to use them and integrate them into a proper training regimen is where a quality trainer excels. I find that many inquiries from prospective clients I receive from this website have had bad luck even getting a reply from many trainers to answer basic questions. I explain to clients just starting that if getting a reply is tough, what will they do after getting paid? They will most likely show up late or not show up at all. Many set low prices and take on volume for cheap rates and in return feel like they are not getting paid much and spend a lot of time on their phone texting or surfing the net. I have watched this more times than I can believe is possible. I have stated this before that I do place some of the blame on the client for accepting this behavior. If a client does not feel comfortable with this type of behavior do not be afraid to ask if they are busy while staring at the phone and not focusing on the clients training. They should invest in a high quality website with detailed information on training methods, videos and testimonials. Having social media profiles is not having a website and a strong internet presence. Anyone today that goes into business has to realize that the internet is a brochure to the world and first impression a consumer sees to evaluate your company. If you are not being represented on the world wide web with a professional website they will move onto the next website. Promoting your business properly so that you can be found on the major search engines is part of any business including personal trainers. When I seek out a vendor and they have no web presence or a terrible web presence through an unprofessional website, I feel that they must not be serious about there business and that presence relays poor quality to me. For long established niche business it is not always true, but even those business with solid foundations and reputations will eventually lose business to the competitors marketing properly. I try very hard to qualify prospective clients and give them my rates to find out if personal training with me is within their budget. If it is I will offer a free trial session to see if we are a good fit and they will understand my training methods and our interaction together. I personally do not want clients that do not want to train with me and I do not do contracts. Most clients that quit training with me is due to financial situation. Some just have a goal in mind for 3 months or six months. If you would like to know more about Iron Trainer Personal Training please do not hesitate to inquire through our QUOTE FORM which asks basic questions about goals and fitness level. Don Niam is a Veteran fitness expert and professional web designer. Don is a Kung Fu teacher for 40 years. He opened his first Kung Fu studio at age 23 and owned schools for 20 years along with teaching privately for 40 years. He was teaching under his first instructor after 1 year of training. 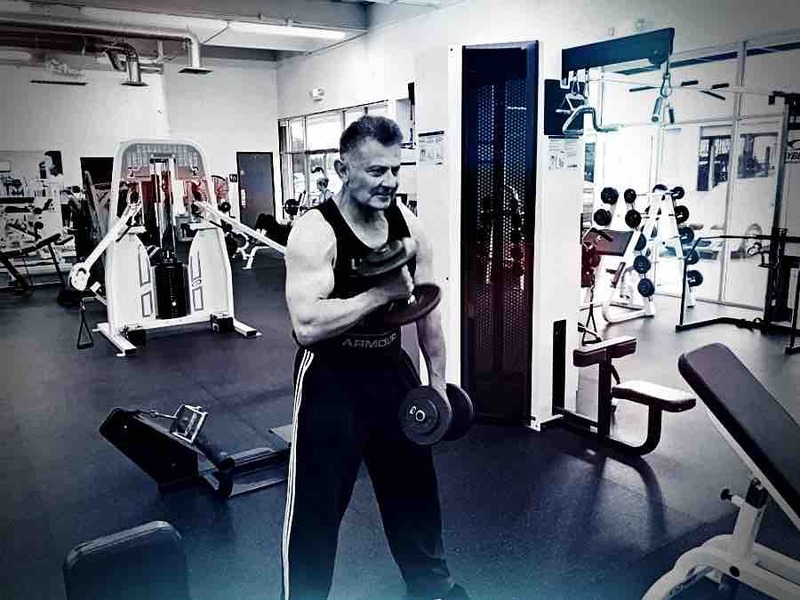 Don has been training people in fitness prior to it being an actual business and started fitness training professionally in the late 1980's. He has a myriad of accomplishments and various professions as you can read on his Bio page.